Payam practices Civil Litigation, with a focus on subrogation. His practice includes a wide range of property damage, product liability, and negligence claims. Payam received his Juris Doctor from Western University in 2013. 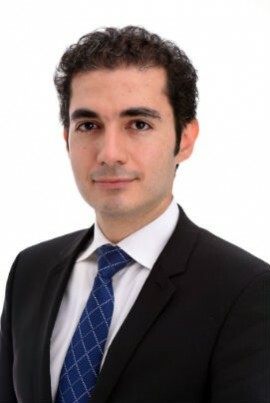 While in law school, Payam participated in various internal competitions, volunteered with Pro Bono Students Canada, worked at the Western Business Law Clinic, and was an editor with the Canadian Journal of Law and Jurisprudence. In his final year at law school, Payam was awarded the WeirFoulds LLP Writing Prize. Payam was called to the Ontario Bar in 2014, and has experience in a broad range of areas including commercial, civil, real estate, family, personal injury, and insurance litigation. Payam has appeared before all levels of court in Ontario.